What do you get when your Mommy is a singer and your Daddy is a drummer? A rock and roll princess! Giana’s Mommy brought her favorite toy for the photo shoot. I guess Giana is taking after Daddy. Her first birthday just went by. The party theme was Rock ‘n Roll! 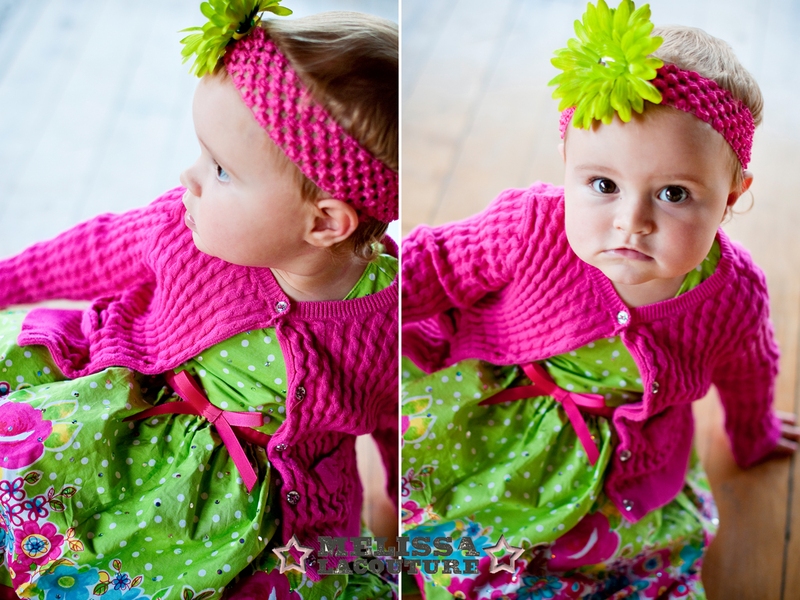 We actually started planning this photo shoot when Giana was 9 months old. Rain and crazy schedules made us postpone so much that this turned into a first birthday portrait. So happy we finally got to take pictures! It was worth the wait. Giana is such a cutie pie! Mommy was holding something good! This is my first official fall portrait of the year. I love fall photos! One may be the littlest number you will ever be, but it’s the biggest birthday you will ever have. The very first birthday is such a special time to celebrate. Most parents think the first year goes by so fast. That’s part of the reason it’s the perfect time to have some nice photos of your baby. They are only one once. It’s sad to say, but at a year old they are no longer a baby and officially a toddler. So many changes happen in such a short period of time. Kaelyn’s Mom knows how to do it up for this special event. 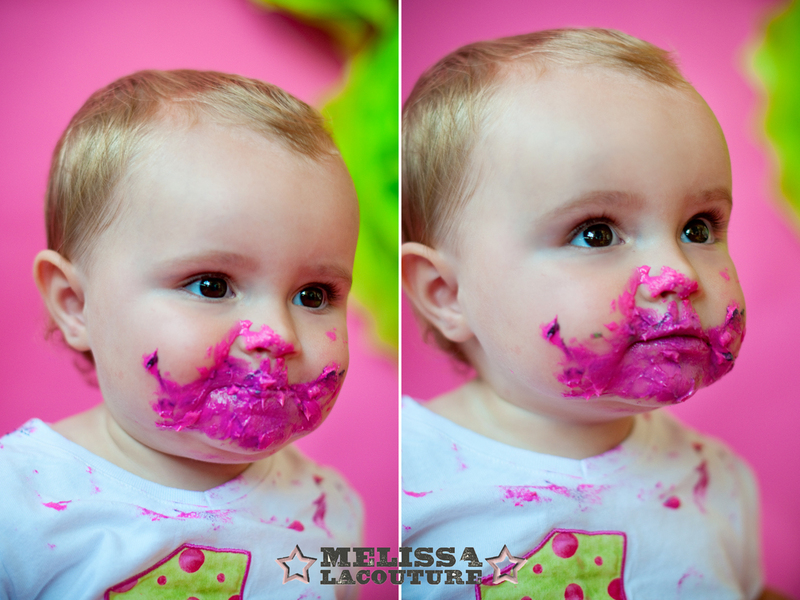 She had three adorable outfits for Kaelyn to change into and a cake for some “cake smash” shots. Poor Kaelyn was not excited when it was time to stop eating the frosting and she wasn’t afraid to let us know. Welcome to toddlerhood! Talk about some loyal customers! I shot Sean and Amanda’s wedding, maternity photos, newborn pictures and now it’s time for little Mackenzie’s baby portrait! It’s so nice to be there for all the big events in someone’s life. We decided to recreate a photo from the maternity shoot but this time we can actually see Mackenzie’s beautiful face!! She was all smiles throughout the whole shoot. Such a great age to photograph! Showing off that first tooth! You have to love the light on a summer evening. My fave!